A federal lawsuit claims the story hour is unconstitutional and violates the First Amendment's Establishment Clause which forbids the government from establishing an official religion and prohibits it from favoring one religion over another. HOUSTON - Drag Queen Storytime is now at the center of a legal and political fight. The national program states its aim is to promote love and acceptance. However, a federal lawsuit filed in Houston Friday claims the story hour is unconstitutional and violates the First Amendment’s Establishment Clause which forbids the government from establishing an official religion and prohibits it from favoring one religion over another. 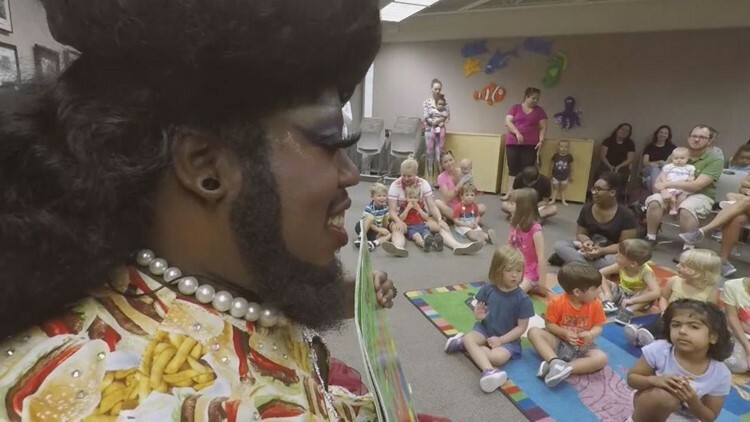 A program called Drag Queen Storytime that debuted at the Heights branch of the Houston Public Library in July is facing new backlash. Mayor Sylvester Turner and Houston Public Libraries are named in the lawsuit. A judge on Wednesday denied a request for a temporary restraining order against the city and Drag Queen Storytime. “Well, the lawsuit I can tell you, is frivolous and without merit. That’s number 1,” Mayor Turner said Wednesday. Jared Woodfill, Houston attorney and spokesman for Campaign for Houston PAC, disagrees. The PAC is linking Drag Queen Storytime to the bathroom debate to sway people to Republican. But Mayor Turner points out that no tax dollars are being used on the program. “It is being housed at one or two libraries, requested by the patrons of those libraries. There are no city tax dollars. It’s a voluntary program. It’s not costing people anything," Turner said. Woodfill says they have a $500,000 budget to spend on mailers and television ads which are intended to expose the activity that has parents divided. Many Houston families who have attended Drag Queen Storytime over the summer told KHOU 11 News it was an opportunity to teach their kids acceptance. The next Drag Queen Storytime will be held at the Montrose branch of Houston Public Library Saturday.